This was my first time participation in April A to Z Challenge and I am proud to say that I survived. Though, it wasn’t easy- Writing a Blog everyday, Reading other Blogs and Sharing Blog love. Daily Blogging needs persistent efforts and on top of everything, Time management. Preparing and writing a Blog daily helped me not to waste single moment of my day. I do not need much Sleep that I thought I do. I can also perform well under pressure. I can accommodate my Blog into my daily routine without missing on anything else. However, I must say that I would not be possible without the continuous push from ever supporting community, Blogchatter. It did not let us loose our motivation and boosted us to stay high. Right from the beginning of 2017, I wanted to follow MINIMALISM but the path was not clear- Why I need it? How to do it? A to Z challenge helped me to chart out my own path to adapt to Minimalist Lifestyle. Now, every If and but is clear in my mind. There are many Blogs I wanted to read but could not. I will now catch up with all. I’m grateful for the many visitors who supported and encouraged through this month. Thank you everyone and Cheers to all of us! Linky will remain open for 10 days i.e. 25th March. Hello, Thanks for reading my content.I too get Spam comments but I use Akismet. Thanks a lot for your inspiring words. Hope to see you around. Thanks a lot fot your kind words. it’s a paid theme from solopine. Keep visiting to read and provide your feedback. Thanks a lot Mayuri. I missed your delicacies at the end, need to bookmark them. Thanks for linking up this time too. I really appreciate. Congratulation on finishing the challenge! And I say, wha you pointed out at the beginning of the post is what I learned the first time I took part in the challenge, three years ago. It was an eye-opener in terms of what I needed (and wanted) to do with my blog. And wow! You have already writting your Reflextion post. I need to get a move on! Thanks Jazz. Congrats to you too for completing the challenge on a high note. Thanks for stopping by. 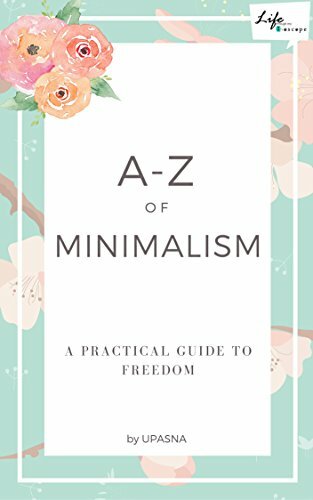 I enjoyed doing the A-Z this year and was so happy to read your posts on one of my favourite subjects: Minimalism. I’ve got a lot to catch up on so I will try and do that ASAP. Thank you for the shout out. I really appreciate it. Your micro fiction posts were just great read. Thanks. I hope you can link up here. Congrats on completing the challenge so beautifully dear 🙂 Well done! Thanks a lot Maitreni. Happy to see you here. Congratulations first of all for completing the challenge. It’s not an easy thing to do. Yes, I guess that Blogchatter and A to Z Challenge has helped us all achieve something we did not know we were capable of. And thank you so much for the mention. I’m so glad you liked my posts. Thanks Anmol and congrats to you too. You are right, A to Z pushed me to get better everyday. Thanks for the encouragement 🙂 it’s been one hell of a month, hasn’t it? So many wonderful diverse themes! Yes Roshan, It was a challenging Month. I still need to read so many good posts. writing one post everyday for AtoZ series is itself something to cheer about, you have to do that with all those daily “to-do list”…. Irfan recently posted…Being with our inner self…. Thanks Upasana for the mention.Glad yout liked my fruit posts.Will be catching up with the linky . Thanks Amtita. I wish you to linkup this time as we have fun parenting prompts. 2 days left. Thank you so much Upasana, I am so glad you liked all the desserts. I loved your tips on minimalism too. Congratulations on completing the Challenge. Hugs. Thank you so much for the mention Upasna! So kind of you. Congrats on completing your first challenge . Must have been so much fun. Yes Parul it was fun…it gave me clear path to follow Minimalism. I am really glad I participated in the challenge. Keep visiting.